The company, which sells homewares and furniture, has more than 2,700 stores across 51 countries worldwide. CEO and President of JYSK, Jan Bogh, said Ireland is the last country in Europe to see Jysk stores opening. "We knew there was a small island out there, and now we are in Ireland." 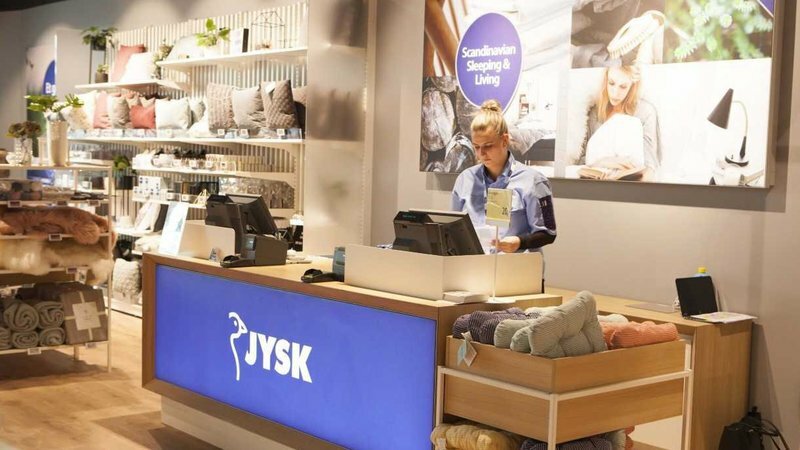 JYSK is often seen as a competitor for Sweden's Ikea, but with medium, rather than mega-sized outlets. "The big difference is that Ikea is operating in huge outlets, around 30,000 square metres, and we are operating stores at around 1,000 to 1,500 square metres, where we can be close to the customers," Mr Bogh said. "We can meet the customers more directly in our stores." Opening 15 stores shows that JYSK has confidence in the bricks and mortar of retail trade. While many retailers are closing stores and focusing on the online side of their businesses, the Danish firm wants to strike a balance. "We have not had to close stores because of online, though we still have a focus on online," he said. "We are sure that the combination of bricks and mortar stores and online sales, that that will be the future of our success." The JYSK CEO said the company has ambitious plans for Ireland, and while it is opening 15 stores, he hopes more will open in future. 200 people will be employed in the 15 stores that will open in the next two years.